After having faced an angry backlash, the minister for Water Resources Girish Mahajan apologised for his remarks suggesting that liquor brands be named after women to boost sales. 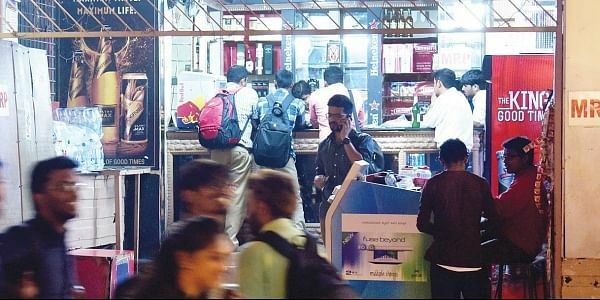 MUMBAI: After having faced an angry backlash from women’s rights activists and the Oppositions, Minister for Water Resources Girish Mahajan on Monday apologised for his remarks suggesting that liquor brands be named after females to women sales. The Minister on Sunday, while addressing Satpuda Sugar mill crushing season function at Shahada in Nandurbar District had suggested that liquor brands be given female names in order to boost sales. The remarks had evoked widespread condemnation all over the state. “It was an inadvertent mistake. Hence I express my apology. If anyone is hurt then I offer my apology. If someone has said that I must have by now come back to my senses, then let me tell all that I have no addiction. I do not even drink tea. On the contrary, I hold medical camps for treatment and with an aim to keep people away from addiction of tobacco and other addictions,” the minister added. “In every speech of mine, I have spoken about liquor and Gutkha ban. I reiterate that I have respect for women. I spoke in jest as the plea was that liquor was not being sold. I publicly apologise to all women,” Mahajan added.